Gavilan Promise, a program offering first year, free tuition to new to college students regardless of income level, launched in Fall 2018. The college plans to expand the program in Spring 2019. “To envision the future,” said Veronica Martinez, Director of Financial Aid, “The program encourages new to college students to come to Gavilan, save money, start their college educations.” With a small launch last semester, the college is eager to grow the program. Students complete one of two applications, FAFSA or California Dream Act. Martinez noted that, while the application process is lengthy, completing it offers huge benefits to students. The Gavilan Promise program rolled out in 2018 after the state budget allocating $46M was adopted. To qualify, colleges must have an existing student loan program with students participating in the program. The state also required that colleges have high school partnerships-to-entry pathways in place. Gavilan met all the requirements. 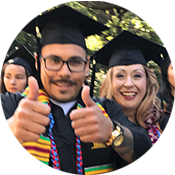 The district program is part of the statewide California College Promise program, which offers free tuition to all first time college students, regardless of income, who carry 12 or more units and maintain a 2.0 GPA. Gavilan College received a two-year allocation of $218K. If that money is allocated by June of 2019, the funding can carry forward for another year. The first semester, 50 students participated, receiving free tuition and textbook assistance. A qualifying student taking the minimum 12 units can receive financial aid covering tuition of $552, plus up to $200 in textbook credit in each of their first two semesters. A student carrying 15 units would receive $690 and a student enrolled in 18 units would receive $828 per semester, plus textbook credit. Incoming California Governor Gavin Newsom made funding for higher education a priority. The 2019-2020 California State Budget, announced January 10, proposes extending the one-year Promise program to cover two full years of community college. During the fall, Financial Aid identified students who qualified and sent out notifications. An outreach program to locate additional qualifying students is underway. 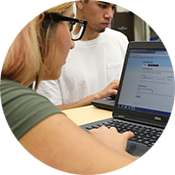 Students can link to more information about Gavilan Promise and financial aid (408) 848-4727 to get started.